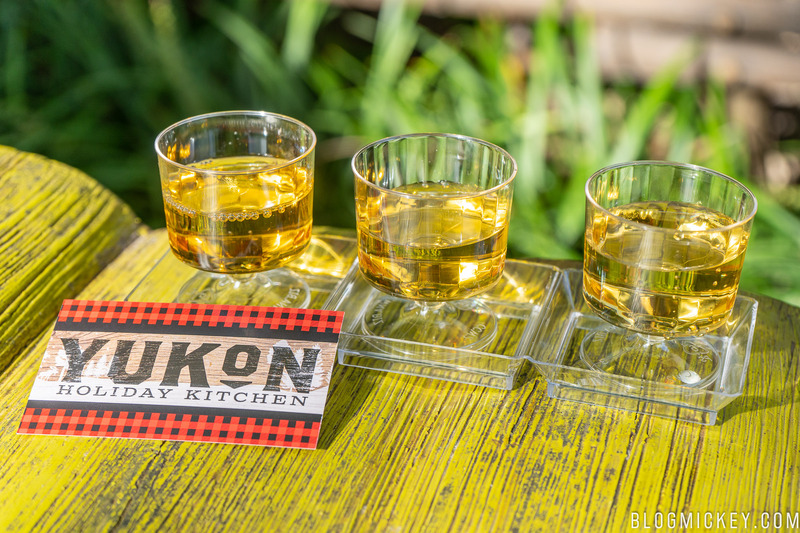 We continue our holiday kitchen reviews with the Yukon Holiday Kitchen at the 2018 Epcot International Festival of the Holidays. 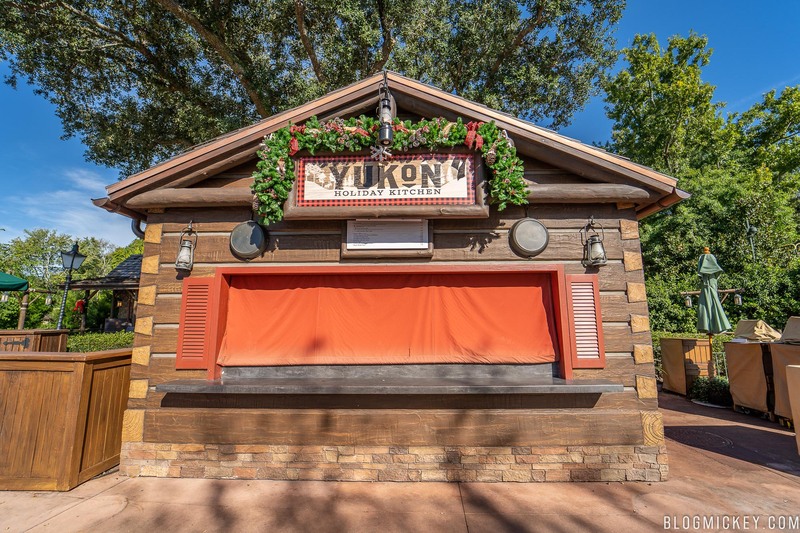 The Yukon Holiday Kitchen is located between World Showplace and the Canada pavilion. We start our journey of food from the Great White North with the seared salmon. 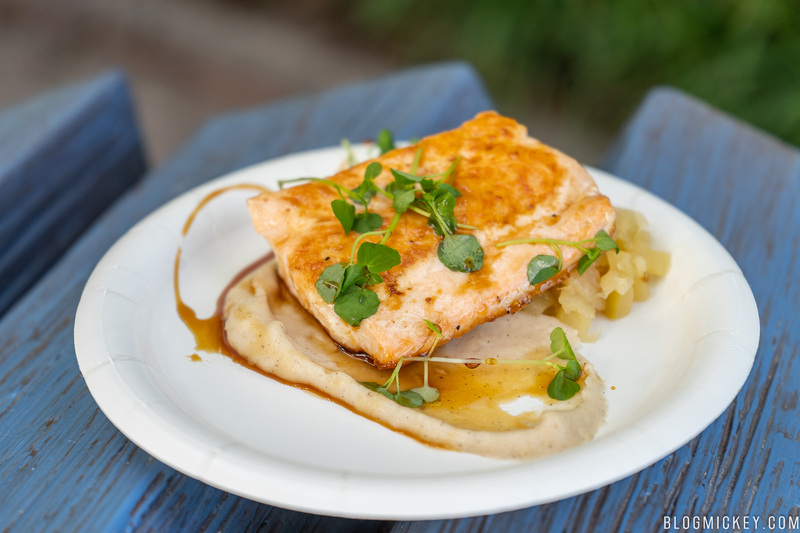 It’s served with a crown royal maple whiskey glaze, parsnip silk, apple chutney, and hazelnut croquant. The salmon was cooked nicely and had we received a dish straight from the kitchen instead of one that had been sitting out a while, it likely would have been amazing. The crown royal maple whiskey glaze was a standout, but all of the ingredients played a supporting role really wonderfully. We can definitely recommend this dish. 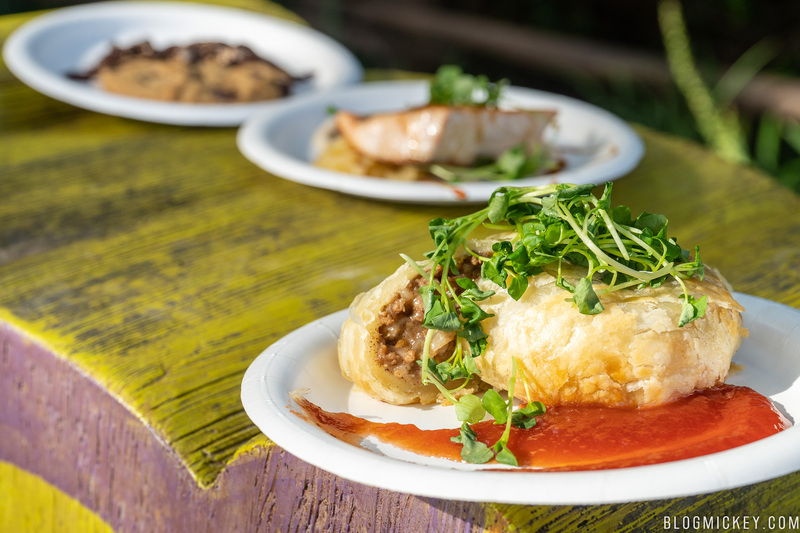 Originating from the Canadian province of Quebec, the tourtiere is a meat pie dish that was executed really well here. The exterior is a flaky crust that surrenders nicely to a plastic fork. 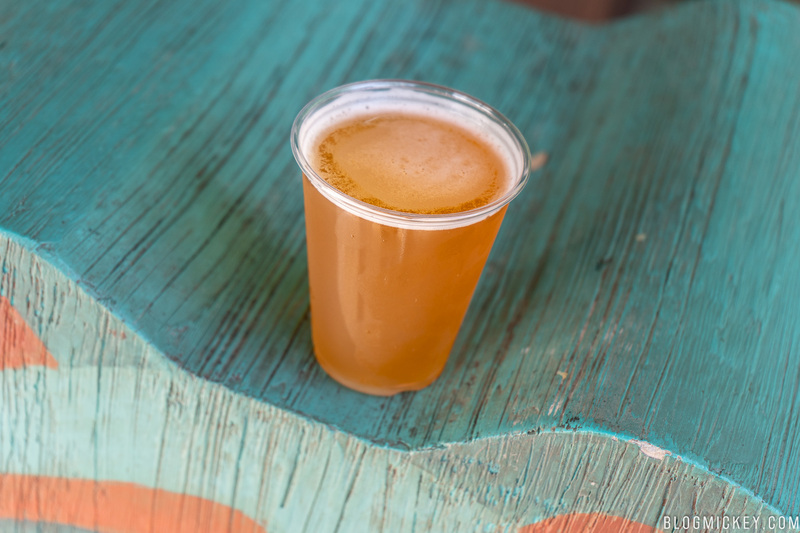 On the inside, you’ll find an undisclosed meat that really impressed us. On the side is a “Canadian katchup”, which is a bit sweeter, according to Heinz Canada. Whatever the difference is, it pairs nicely should you want a little more from your tourtiere. 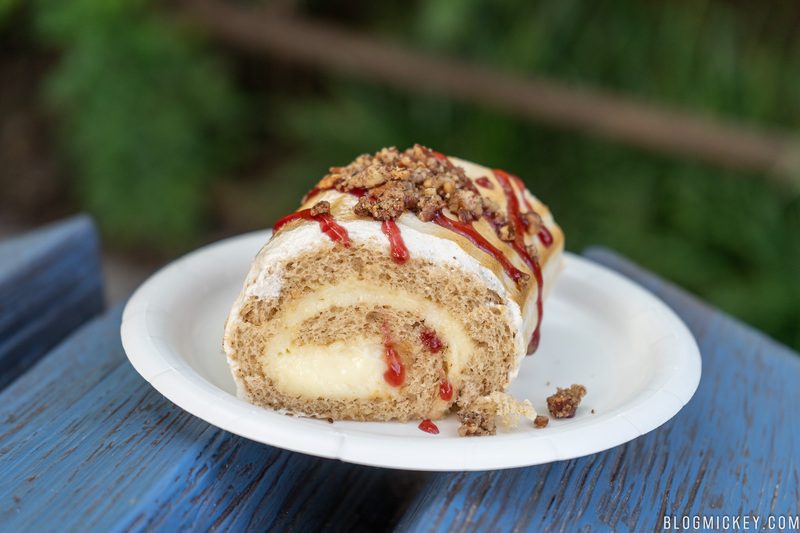 Yule logs seem to be a dime a dozen this year, but if you purchase a yule log, make sure it’s the Maple Buche de Noel from the Yukon Holiday Kitchen. Inside, you’ll find a maple mousse rolled in gingerbread chiffon cake with a cranberry sauce and pecan crumble. The cake itself is very light, which pairs wonderfully with the “heavier” maple mousse. The cranberry sauce was portioned correctly and supplemented the log nicely. The pecan crumble adds a texture that we didn’t find in many yule logs. This is dish comes highly recommended. Another standard issue cookie. There really isn’t too much to be said about it, so here’s a photo. 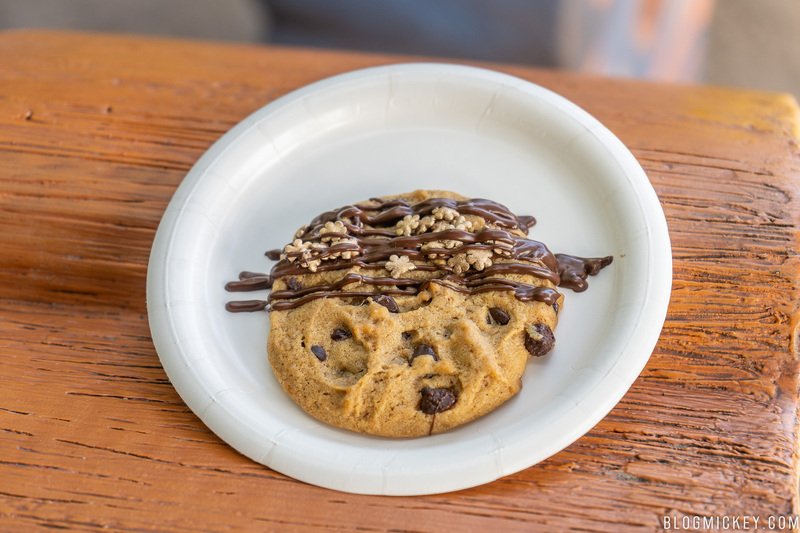 Again, we don’t recommend buying any of the cookies unless you’re specifically trying to complete the cookie stroll. Allegedly, these were the Inniskilin Reisling, Pearl Vidal, and Gold Oak Icewines. 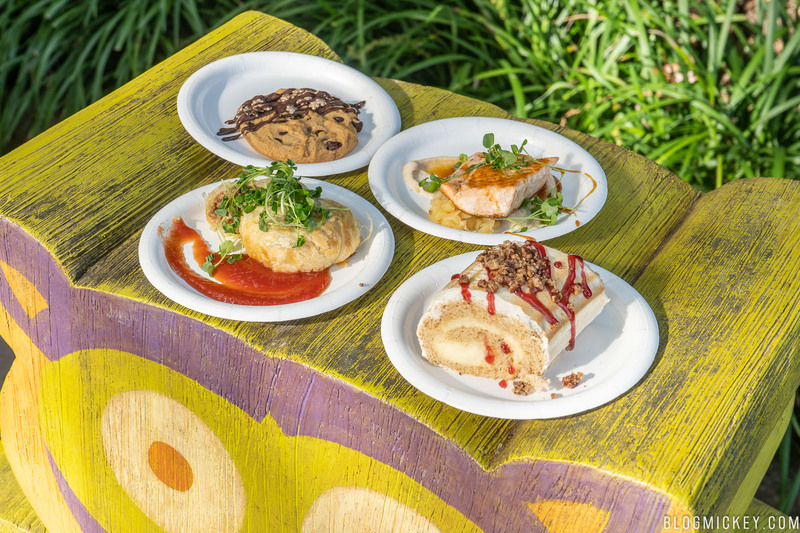 I say allegedly because these were pretty much all the same, visually and taste-wise. They were all pretty sweet and probably worth a pass unless you’re looking for an almost lip-puckering sweet wine. 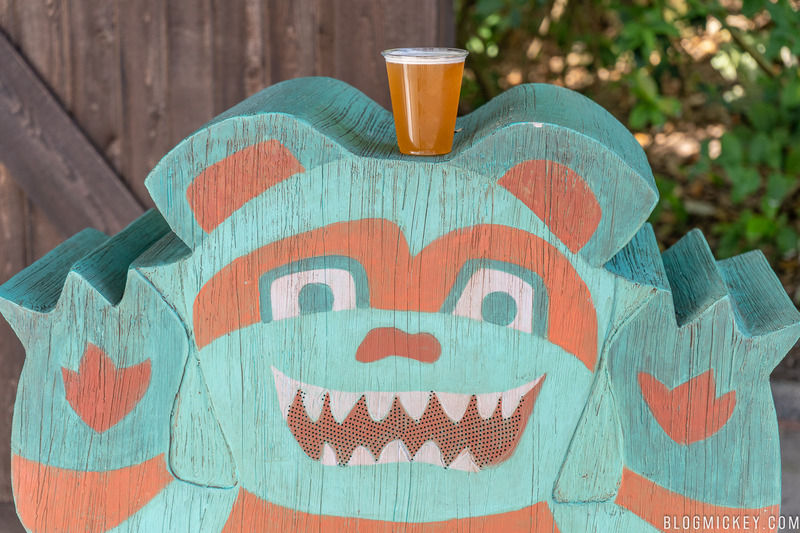 Originally intended to be a seasonal ale, it has become popular enough to be enjoyed year-round. I guess it’s still seasonal in the sense that you’ll be able to find it made with different fruits. In our case, it resembled a strawberry and was actually quite enjoyable.